After we got the diagnosis of Aspergers Syndrome for Edward we asked the professionals if they thought we should tell Edward and they quite rightly said that it was up to us. It would have been really helpful though, to have heard about other people’s experiences of how they had told their children about autism. I have met adults who didn’t know about their diagnosis until they were in adulthood and they have all without exception told me that they wished they and their families had understood the reasons behind difficulties they experienced from a much earlier age. 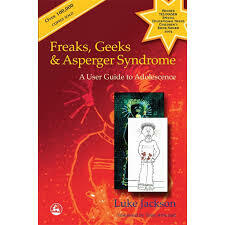 Luke Jackson the teenage author of Freaks, Geeks, and Asperger Syndrome: A User Guide to Adolescence, found out he had Aspergers having stumbled across a letter from his paediatrician to his mother. Luke wrote the book back in 2002 because he thought that there were not enough useful things on the internet for autistic teenagers to read to find out more about autism. One of the main points that comes across is his writing is his view that it is fine to be different. I really liked Luke’s attitude. I knew I wanted Edward to learn that being autistic wasn’t something to be embarrassed or ashamed about, I wanted to build and not crush his self esteem. How, when and whether you tell your child that they have autism will depend on many things; your acceptance of the diagnosis, your partners acceptance of the diagnosis, your view of how the information will be received, and to a very great extent the level of understanding and awareness that your child has and probably many more factors besides these!. This is how we did it. Edward was 8 years old when he was diagnosed with Aspergers syndrome, and we told him within a few days of being given this news. Edward, at 8, was a bright and articulate child. He was also aware that he was struggling socially and he had already made comments to me along the lines of, “Mummy I am different from the other children”. He knew he wasn’t fitting in. We have a friend called Hannah. She is incredibly clever, she’s also very creative and lots of fun. She has a degree in microbiology and a phD in international development. I don’t think many people get higher education qualifications in totally unrelated fields. Hannah is also severely dyslexic. She tells me that she was 10 years old before she mastered reading and writing. It was a battle for her and I gather that she has her father to thank for her victory with written words. Apparently he spent time every day, throughout her entire childhood, helping her to slowly fathom how to make sense of text. It paid off, but I bet it was a long hard slog at the time! I decided to use Hannah’s story as a handle for explaining Autism to Edward. Nick and I sat Edward down and said something like this, “Edward, you know Hannah. She has dyslexia which means that she had a lot of difficulty learning how to read and write when she was younger. Her parents did a lot of work with her to try and help her to learn how to read and write. She did learn but it was difficult for her. She’s studied lots of interesting things at university and she is doing really well now, but she still doesn’t find reading as easy as most other people do. You don’t have dyslexia, You have something called Asperger’s syndrome. This means that there are some things which you find easier than other people, like seeing patterns in things and spending lots of time thinking about things you are interested in. It also means that there are some things which you find more difficult, like making friends and understanding what other people are thinking. We are going to work hard with you, just like Hannah’s parents did. We are going to try and help you learn about social rules (we had already used this phrase with him before) so that you can learn how to make friends..” Throughout the entire conversation Edward made no eye contact with us and fidgeted and fiddled continuously. At one point he got up and wandered across the room. Nick asked, “Edward, do you understand what we are saying?”, in an instant Edward said very matter of factly, “I have a social communication difficulty”, and with that he started playing with his bricks. The conversation was over. That conversation has served us well. The expectation for social training was set in all our minds. To be honest we had already been intently working on social skills with Edward for years, but from this time on, he was very much in on the deal. Most of our social training has involved talking about recent failed social interactions from all angles, thinking and discussing what was going through the minds of everyone involved, why it had gone wrong and how it could have gone better. We have often role played these moments in the privacy of our dining room, which has been at various times a class room, a changing room, a bus stop, a playground, a swimming pool, a restaurant and even a urinal. Talking about failed social events can be painful. You have to pick your moments, but if we know something went wrong then it does get talked about as soon as everyone is in the right frame of mind, whenever possible later on the same day. Often we’ve found that we have all ended up having quite a laugh about things. One thing I have been increasingly aware of is that the only way of knowing what you still need to teach or explain is by knowing what is still difficult. If Edward spent all (as opposed to most) of his time on his computer, never entering social situations we wouldn’t have any real ideas about what to work on. We need him to be out socially so we can find out what he still needs help with. If you have a child who finds social interactions difficult then often the last thing you or they want to do is go out of the house, as it can be really difficult. However, I think it would be very difficult to develop social skills in the absence of social interactions. I imagine that this can create a bit of a catch 22 situation for many people who have autism. 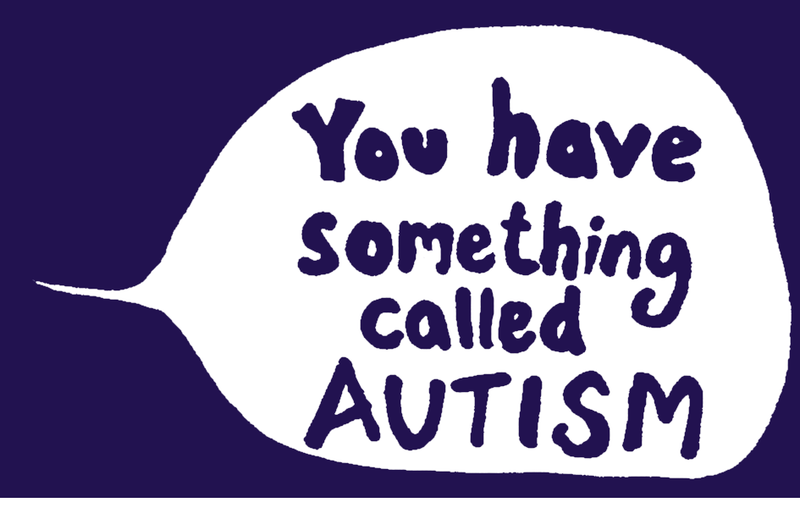 If any of you have told your child they have autism, I would love to hear how you did it. If you have written about your experiences of telling your child about their diagnosis please feel free to include a link to your writing in the comments below. We have a 7 year old girls and just received the diagnosis in Feb this year (after a long process!) L also knew she was different and often asked “mummy why do I act/think differently?” We sat her and her younger sister (age 5) down at the same time and with the help of an amazing book called My Autism Book attempted to explain…L’s demeanour immediately changed and she said “so that’s why no one understands me”…while this broke my heart it was also an amazing observation and seemed to give her the answers she needed. She didn’t like the word autism so she named it her ‘what’s it’…this has served us well so far…a whole 3 months in…and she has asked us to let her know when some of the differences and behaviours are because of the what’s it. We had a beautiful moment when she was very upset about returning to school and said that no-one understood her, my youngest came across and put her hand on her foot (knowing that’s the only place L would be happy) and said but we do L. In some ways the diagnosis has changed nothing but in other ways it has enabled us to understand each other so much better and for that I’m so thankful…it’s still flipping hard though ? Thanks for the book recommendation..it’s on my list now! Really enjoying your posts. Helpful to hear how you went about discussing ASD with Edward & also your approach to social training. I’d heard visualisation & role play are helpful. For us disclosure of his diagnosis to J feels like a process. 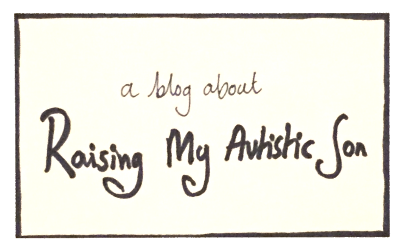 J is 7 & suddenly becoming much more self aware so we decided it was time to start discussing ASD. We’d discussed it with his 8y old sister a while ago in response to questions she’d asked. Family have also started explaining ASD to his cousins which is helping how they treat him, so I wanted J to hear from us & not from anyone else. ‘Have you, Dad or E got ASD?’ Have I got more or less ASD than the rest of you? After reading ‘Can I tell you about Asperger Syndrome?’ By Jude Welton his comment was: ‘based on the evidence in this book I don’t think I have Aspergers.’ He read it again spontaneously by himself last week though & seems more accepting. Today I mentioned that we’re going to see a blind man with ASD (a musical savant) in concert this weekend. J’s response was ‘So he’s got Autism Spectrum Disorder.’ Then proceeded to discuss 2 disadvantages of having ASD (not being able to read people’s faces & taking everything literally so not always recognising sarcasm). He has a great sense of humour though so we joked about different examples. There is so much I love & find fascinating about ASD. Its in many ways an exciting as well as challenging journey for the whole family. Building their self esteem is crucial. Social interactions are a minefield! Keep the blogs coming Lynne. They’re becoming a highlight. Thanks Emma and Ceri for sharing your experiences of how you told your children about their diagnosis. It was really good to hear about the books you used to help explain things. I thought you may be interested in a reading a comment from Elaine about this post which was posted on the facebook page….. I remember a big issue for us was how other children might react to Edward saying he had autism (or Asperger’s syndrome as we were calling it then) and whether he should tell his peers or not. I’ve known something was not right with my son since he was 3. For 10 years we’ve gotten him as much help as we could through constantly explaining in details all his quirks, challenges, things that work for him etc yet not getting people to see the whole picture. Getting the official diagnosis a few months shy of his 13th bday has been so helpful! Not only have services opened up and his teachers can say, oh it all makes sense now, but things make sense to him too. I gave it a minute for him to process that. Then he said, “ok, so I have Aspergers?” Yes, I said. “And that means I have special challenges and super powers?” Yes, I said. “Hmm…” he said as I could see the wheels turning. But he was not worried, he was discovering something. Examining it in his mind…. “So, is that why things are different for me?” Yes, I said. He then suddenly changed his demeanor to a matter of fact acceptance and fascination with this new information. Gladys I loved reading your comment. I think the way you explained to your son that he has autism and the way he responded was simply wonderful. Best wishes to both of you. Reading this has been very helpful. Our son is 5 and was diagnosed with HFA a year ago. I was not surprised by the diagnosis, but my husband is still struggling with it. He does not want to tell anyone about it because he thinks our son’s autism might be able to be “cured” or “fixed” and doesn’t want him to be labelled at such a young age. This is difficult because I know that our son will always have autism; it’s not going away. Keeping it a secret for much longer will begin to have a detrimental effect on Owen, who is already starting to notice that he doesn’t “fit in” with the other kids. Being able to talk openly with him and our other family members about his diagnosis and what it means would be helpful, for everyone. At the same time, I’m trying to respect that my husband is going through an acceptance process of his own. It’s a difficult place to be. Thanks so much for your comment Laura – I hope that your husband will come to understand that autism brings many strengths as well as weaknesses and that it’s not something to be ashamed of or hidden away. As you know, autism can’t be cured or fixed. By being open about autism it’s easier to put strategies in place to make life smoother for everyone concerned. If you look at my posts in the social skills training category, you’ll see some of the ways we’ve tried to help our son learn useful communication strategies.